At QFC, Our Purpose is to Feed The Human Spirit™ and we are looking to hire friendly team members who strive to provide every customer with a memorable shopping experience. Our mission is to be the neighborhood market where the best quality products are sold by the friendliest people. 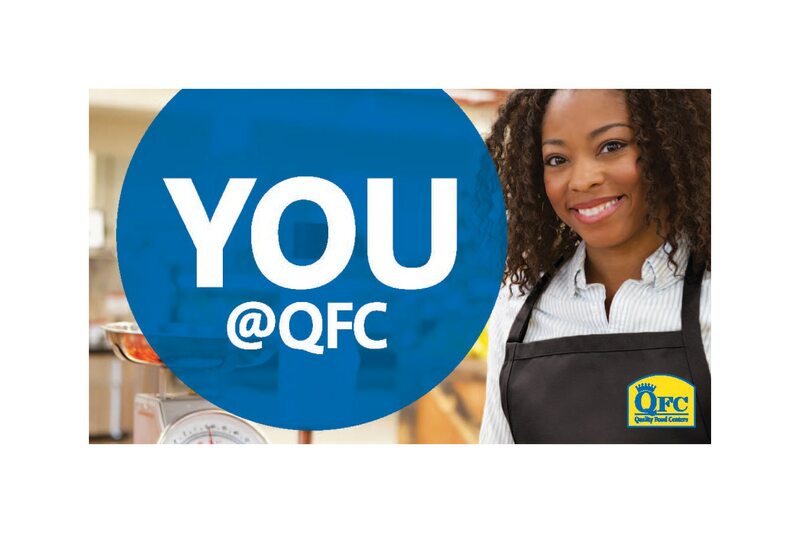 As a member of the QFC team, you will have the opportunity to make a difference in the lives of the thousands of customers who shop with us every day. If you love people and you love food, you have a place at QFC. We encourage our teammates to get involved in their workplace and participate in making decisions that will improve their jobs, work environment and benefit our customers and company. It is our goal to be a valued community partner in the neighborhoods we serve and we are striving to make our Zero Hunger Zero Waste goal a reality. QFC is a member of The Kroger Co., the largest traditional grocery retailer in the U.S. Excellent career opportunities await you with QFC and The Kroger Co. Apply now to come grow your career with us. Everett, WA, US, 98201 2615 Broadway 705 - Quality Food Center, Inc.
Bellevue, WA, US, 98007 1510 145Th Pl Se 705 - Quality Food Center, Inc.
Redmond, WA, US, 98052 8867 161St Ave Ne 705 - Quality Food Center, Inc.
Portland, OR, US, 97225 7525 Sw Barnes Rd 705 - Quality Food Center, Inc.
Lynnwood, WA, US, 98037 17525 Highway 99 Ste F 705 - Quality Food Center, Inc.
Mill Creek, WA, US, 98012 926 164Th St Se 705 - Quality Food Center, Inc.
Tacoma, WA, US, 98422 4101 49Th Ave Ne 705 - Quality Food Center, Inc.
Seattle, WA, US, 98105 2746 NE 45th St. 705 - Quality Food Center, Inc.
Seattle, WA, US, 98106 2500 SW Barton 705 - Quality Food Center, Inc.
Kent, WA, US, 98042 13304 Se 240Th St 705 - Quality Food Center, Inc.
Issaquah, WA, US, 98027 1540 Nw Gilman Blvd 705 - Quality Food Center, Inc.
Bellevue, WA, US, 98004 10116 Ne 8Th St 705 - Quality Food Center, Inc.
Seattle, WA, US, 98109 500 Mercer St 705 - Quality Food Center, Inc.
Seattle, WA, US, 98155 1531 NE 145th St. 705 - Quality Food Center, Inc.
Seattle, WA, US, 98117 9999 Holman Rd Nw 705 - Quality Food Center, Inc.
Portland, OR, US, 97215 5544 E Burnside St 705 - Quality Food Center, Inc.
Normandy Park, WA, US, 98148 17847 1St Ave S 705 - Quality Food Center, Inc.
Bothell, WA, US, 98021 22833 Bothell Everett Hwy 705 - Quality Food Center, Inc.
Seattle, WA, US, 98103 4500 Wallingford Ave. N 705 - Quality Food Center, Inc.